As we go into the 5th year of our unique soccer tournament I have to say I am very proud to be part of this organization. Having participated in several soccer tournaments throughout the last 35 years as a player, coach, parent, grandparent, retailer, and now volunteer, the Kickin' It Challenge soccer tournament is nothing like any soccer tournament I have participated in. 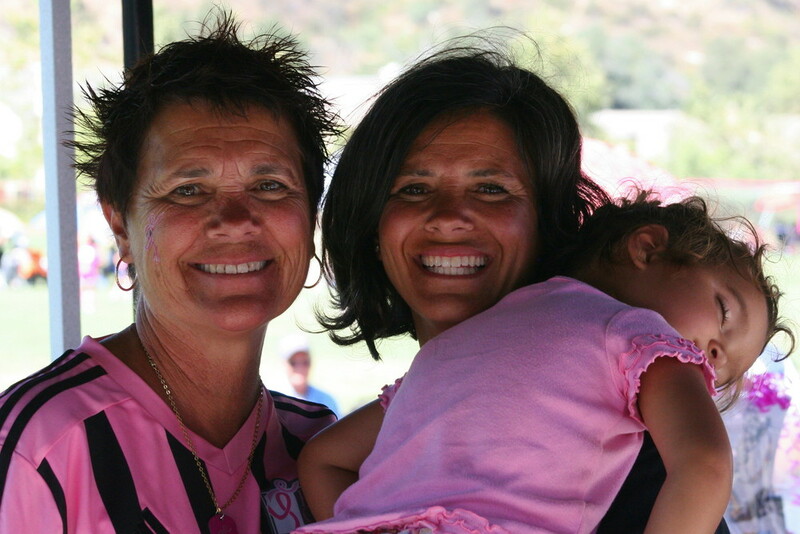 My passion for soccer and finding a cure for breast cancer is the driving force that carries me through the many hours of work that go into hosting this great event. Together, with the other founding volunteers we donate our time and efforts and 100% of the tournament proceeds go to the San Diego chapter of Susan G. Komen. Until this last year, Kickin' It's monetary donations for breast cancer research has always been my main focus. However, my focus now includes the ever so important awareness Kickin It brings to the young players and their families. The sea of pink covers the field and the participation from the team in the Power of Pink is truley that "the power of pink". Speaking of awareness, I was blown away last year when I was having dinner with three of my grandkids, all of whom were 4 years old. In our dinner conversation, out of the blue, my granddaughter asked her two boy cousins, "have had you had your mammograms?" I was shocked to say the least. This speaks volumes to me. Our soccer tournament has such an impact on everyone it touches.